Learn about Roman life in a brand-new way! 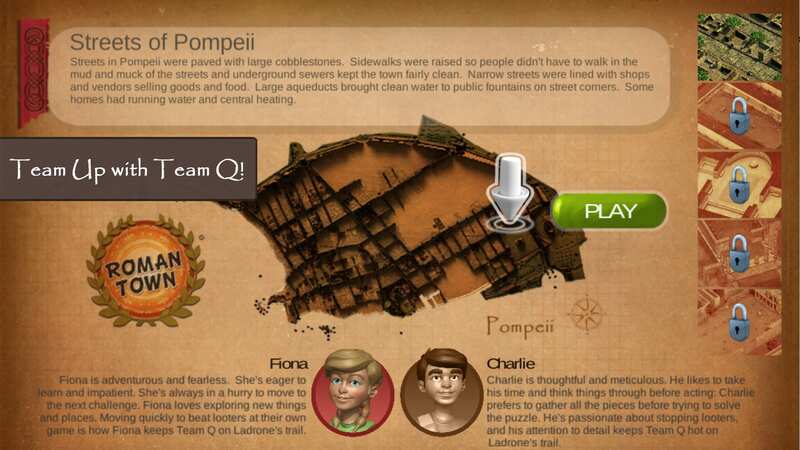 Help Team Q track down the master thief Ladrone in Pompeii and stop her from stealing the city’s artifacts. Can you unravel the clues from Roman history and foil her plan? OUT NOW FOR WEB & IOS! 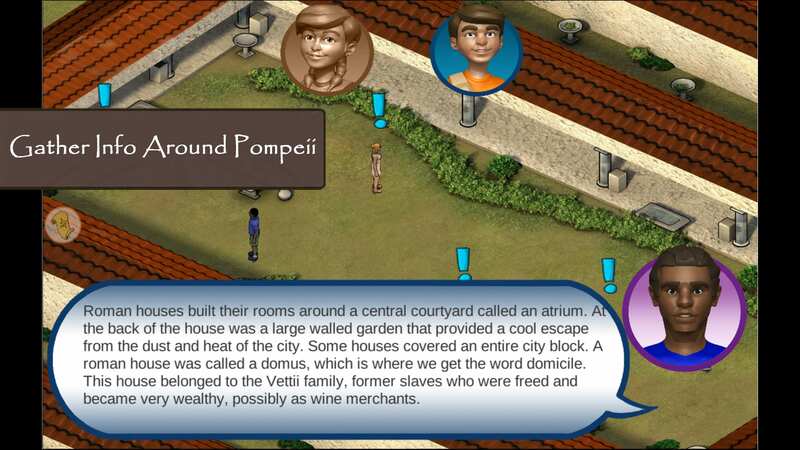 Solve Social Studies Puzzles in Roman Town 2! Ladrone is on the loose! Explore Pompeii, play games and solve puzzles to track down the master thief. 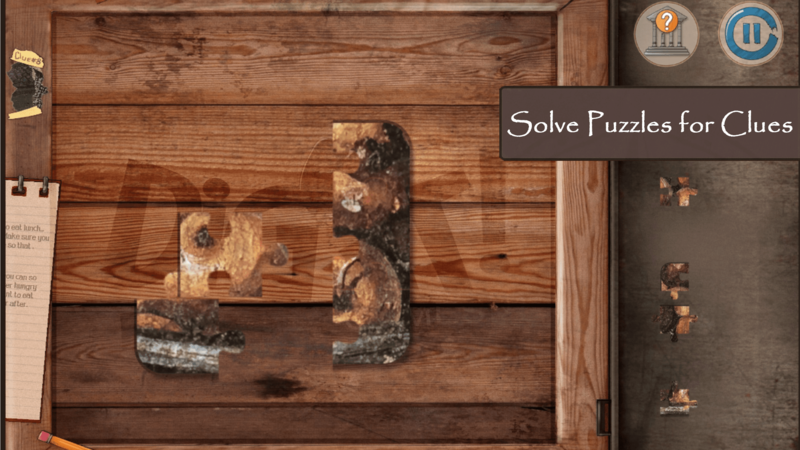 Gather clues by solving challenging mini-games that push your logic and creative thinking skills to the limit. You’ll need to use all your expertise to beat Ladrone at her own game. Roman Town 2 is our revamped, updated version of our classic Roman Town. Rejoin Fiona and Charlie on their quest to stop Ladrone from stealing the artifacts of Pompeii with updated gameplay, graphics, and more. Each social studies puzzle is now more effective and more fun! 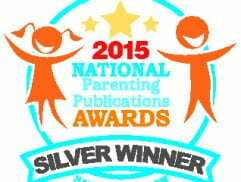 Aligns to National Council for Social Studies and Common Core State Standards for Math and Literacy. NCSS THEME I: CULTURE – Social studies programs should include experiences that provide for the study of culture and cultural diversity. NCSS THEME II: TIME, CONTINUITY, AND CHANGE – Social studies programs should include experiences that provide for the study of the past and its legacy. CCSS.ELA-LITERACY.RH.6-8.4 – Determine the meaning of words and phrases as they are used in a text, including vocabulary specific to domains related to history/social studies. CCSS.ELA-LITERACY.RH.6-8.10 – By the end of grade 8, read and comprehend history/social studies texts in the grades 6-8 text complexity band independently and proficiently. 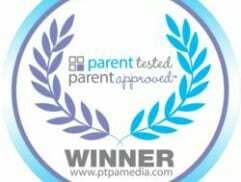 CCSS.MATH.CONTENT.5.NBT.A – Understand the place value system. CCSS.MATH.CONTENT.5.NBT.B – Perform operations with multi-digit whole numbers and with decimals to hundredths. 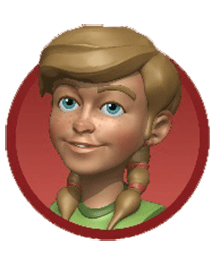 This Roman Town 2 educational game includes the new GBLxAPI standard developed through the support of the National Science Foundation. 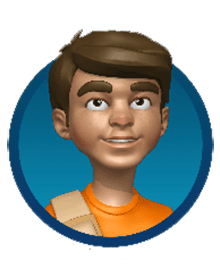 GBLxAPI creates a common standard for analytics collection across game-based learning and other digital educational products. In this Roman Town 2 game, GBLxAPI is used to track student progress against C3 and ELA education standards in an easy to read format. Learn more about this standard and how it can help you evaluate your students’ learning at gblxapi.org. 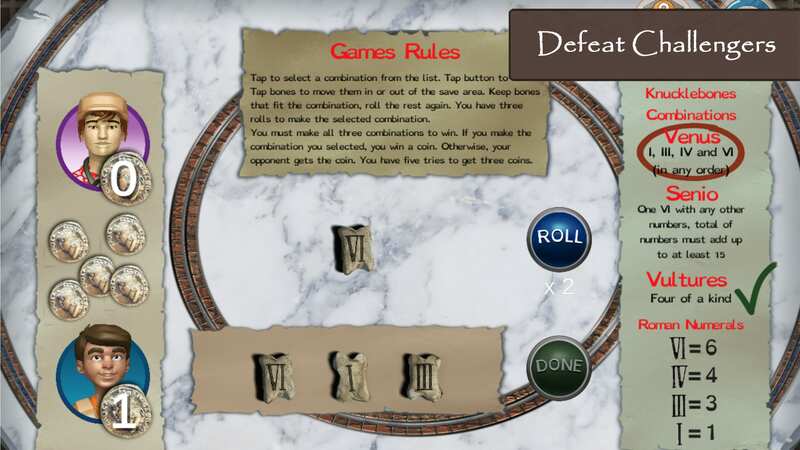 The Roman history social studies game will be available in HTML5 on our site or on the Apple App Store for iOS devices. Android options will be coming afterwards. If you love Roman Town, make sure to also check out the associated sticker pack for iMessage for iOS when it releases! They see pictures of artifacts and art such as frescoes and mosaics and learn about how the people lived. In between the history education, they are playing some really fun games. We love history. We love puzzles and games. After all, isn’t the goal of home education to help our children learn HOW to think? …now I can say we have fallen in love with Dig-It! Games; particularly Roman Town. Want to know more about how you can use Roman Town 2 in your social studies classroom? Feel free to contact us for any and all inquiries about using this Roman history game or our other educational products.